When it comes to choosing a coach many organizations and schools would like to see the experience with the game and how many coaching jobs a potential candidate has under his/her belt. This is why it is important for coaches seeking a coaching position to include all experience including championships won, how many schools he/she has coached and how positive the coach on and off the basketball court. Many coaches have an objective on their resume that not only describes the goals that are to be met as well as how much experience they may have with the game of basketball. Not only is experience a big factor in filling a coaching position, but being a positive role model for the players of the team the coach is seeking. Potential candidates for a coaching position should not only list his/her experience, but should also include how they can make a difference in the basketball program. Leadership skills and experience are the two most important factors that schools and organizations look for when trying to fill a coaching position. Things that should be included in a basketball coach resume are not much different than a resume for employment. Basketball coach resumes require just about the same information as a resume for a job opening. They include an objective, a statement on how well you work with individuals in the game of basketball, experience, awards and titles, educational experience, what type of education that a potential candidate received in his/her career and sometimes references that can verify the coaches ability to make a change to a basketball program. These are important factors and can somewhat tell how good a coach is and how they can make a change in a basketball program. Many organizations mainly look at a coach’s career and awards or championships the coach may have that they can bring to their organizations. Organizations narrow down the candidates by a coach’s career in an attempt to bring a championship to the organization. This is why it is important to have accurate information on a basketball coach’s resume. 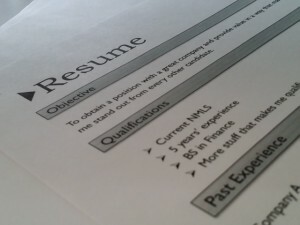 Many organizations due thorough research to verify the information that is in a candidate’s resume. The more accurate the information the better chances a candidate has to fill a coaching position.